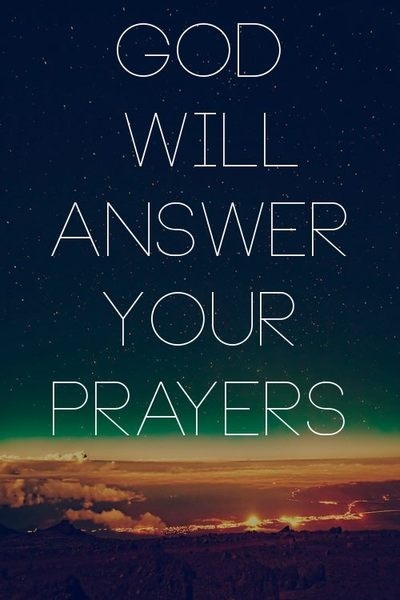 I have heard your prayers and seen your tears and I will answer every one of them, says the LORD. I have not been ignorant of the desires of your heart, and will never ignore you or abandon you. I will not withhold anything good from you. You are valued by Me always. I only have good things in store for those that love Me. I only have love for you, not hate. I only have light for you, not darkness. I only have peace for you, not turmoil. I only have rest for you, not unrest. I only have good for you, not evil. I only have fullness for you, not emptiness. I only have friendship for you and not loneliness. I only have answers for you and not problems. I Am everything that you need. I will supply all your need, for My promises are infallible and unimpeachable. My blessings have no attached sorrow to them, says the LORD. Only trust ME. Only see Me as your everlasting Father and prince of peace. See Me as the all-powerful, all-knowing, all-loving, ever-present One in your life. Know that I value you and I will bring you out of troubles. I will deliver you from the snares of the evil one. I will bring you out of the mire and set your feet on solid ground. I will take you out of poverty and prosper you. I will take you out of defeat and give you good success. I will take you out of your grief and give you great joy. Trust in Me at all times and be patient, and allow Me to lead you one step at a time into your personal promised land, for it is a good land of your inheritance. It is a fruitful place and you will have an abundance of blessings and a source of blessing to many others, says the LORD.